Whenever I make anything that calls for Chipotle Peppers in Adobo sauce I go right for La Morena. I LOVE their Chipotle Peppers and it’s all I know. I’ve also used their Chipotle Pepper sauce, yum! It’s VERY spicy, so I love to use it as an ingredient, not on it’s own. I put it into main dishes often. My family loves the chipotle flavor, even our little one. When we make food for game day we always like to have a little heat. Typically we have rice and beans as well, but I really wanted to keep it a little more grab and go and I think we definitely achieved it! 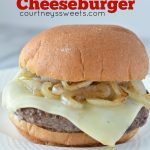 I love our spicy mayo sauce that whips in no time and tastes like it was cooked all day. Just drizzle it over when your guests arrive so they can see the cute football meatloaf before it has sauce! 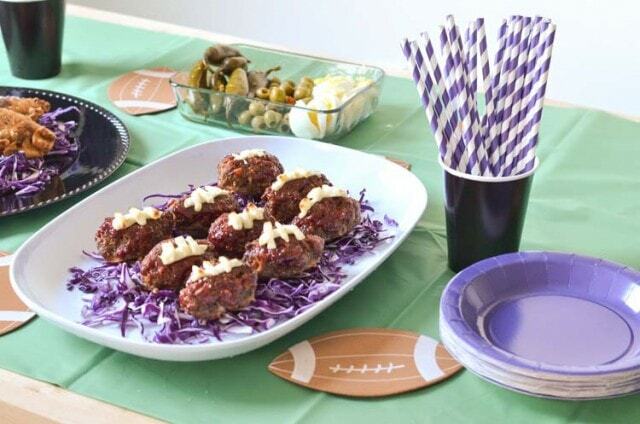 😉 Guests love football shaped food! The sauce is a beautiful orange color from the roasted red peppers and the chipotle pepper with adobo sauce. Since I made it for hubby and his friends I poured some of the adobo sauce and used a whole chili. For my myself and the kiddos I only used a half of a chipotle pepper. Trust me, a little bit goes a long way! The flavor is incredible and definitely concentrated into that tiny pepper! 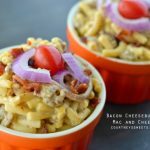 I love making a HUGE batch of this in the beginning of the week. You can use it on all sorts of things and trust me when I say it.. you’ll be making it more than once! Great for fries, burgers, meat loafs, nuggets and I even like it on chicken wings and my empanadas! SPICY SAUCE ON EVERYTHING!!!!! 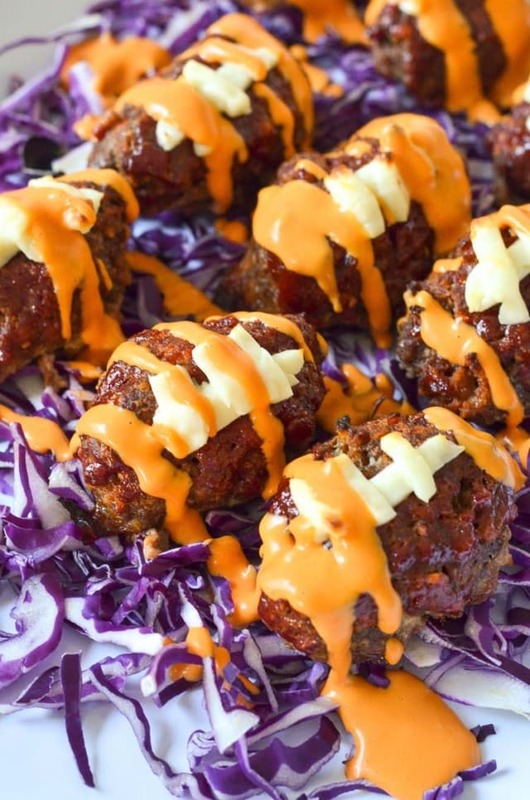 Spicy Meatloaf Footballs, perfect for game day! Add mixture to large bowl with beef, egg, bread crumbs, onion, garlic, parsley salt and pepper. 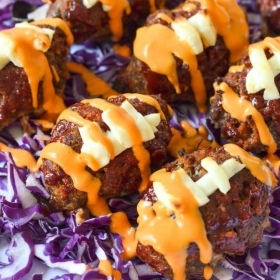 Shape meat into mini meatloaves and place onto a parchment lined cookie sheet. Spread remaining ketchup mixture onto meatloaves. Cook for 20 minutes, or until desired temperature. 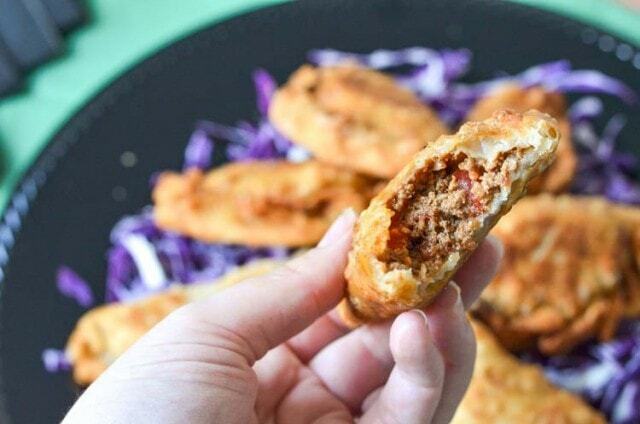 Now truth right here.. I’ve never made a full blown beef empanada. I’ve made chicken and pork, but never beef. 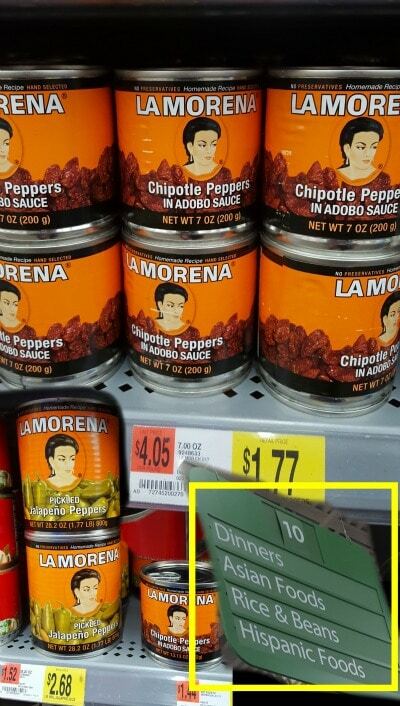 I have always seen the La Morena Pickled Jalapeno Peppers at Walmart so I picked them up with the Chipotles in Adobo. I know some put capers or olives into their empanadas so I used some of the pickled jalapeno peppers juice for my empanadas. 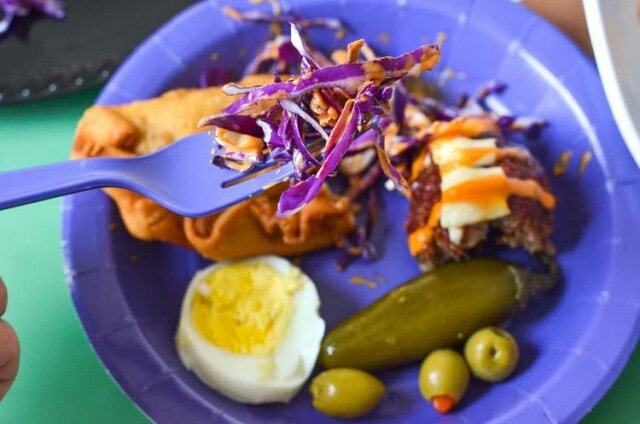 My family loves handheld foods so empanadas and mini football meatloaves were bound to be a hit. I saved the picked jalapenos for snacking with some hard boiled eggs and green olives. In a large skillet brown beef and discard fat. Add <g class="gr_ gr_125 gr-alert gr_gramm gr_run_anim Grammar only-del replaceWithoutSep" id="125" data-gr-id="125">in </g>the smoked paprika, chili powder, cumin. freeze dried onion, garlic, pickled jalapeno juice and chopped tomatoes. 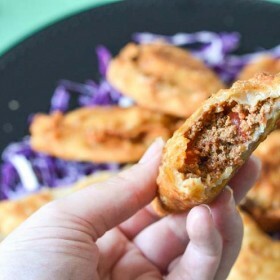 Once the meat is fully cooked and cooked down <g class="gr_ gr_128 gr-alert gr_gramm gr_run_anim Grammar only-ins doubleReplace replaceWithoutSep" id="128" data-gr-id="128">place</g> into the empanada wraps and close. Fry them for about 3-4 minutes or until nice and crispy. We decorated our table using our favorite team’s colors and we even used purple cabbage for “garnish”. Now why did I put “” for garnish? Well that’s because it serves as a garnish and a side. Yes!! 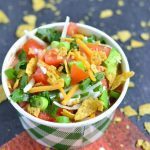 Scoop up that slaw and mix it with our spicy mayo sauce and enjoy! 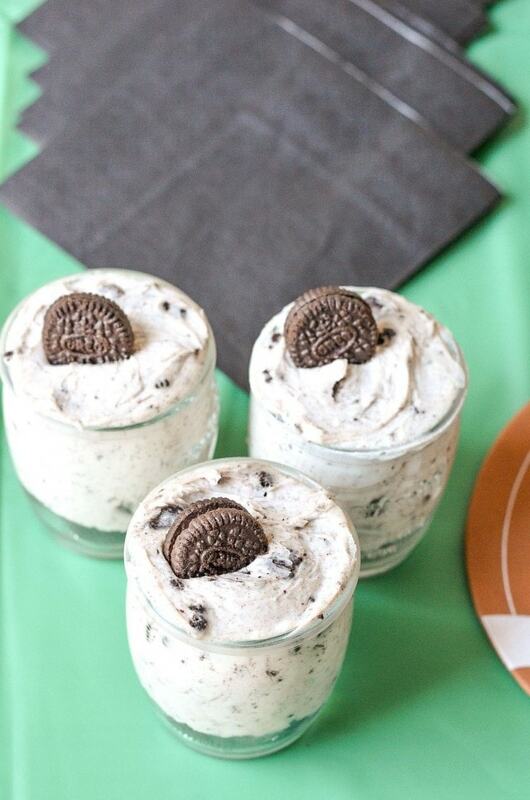 Our guests loved everything and even enjoyed No Bake Cheesecakes that my daughter made earlier! 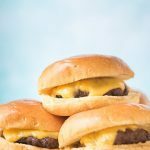 I hope you enjoyed our recipes for game day! 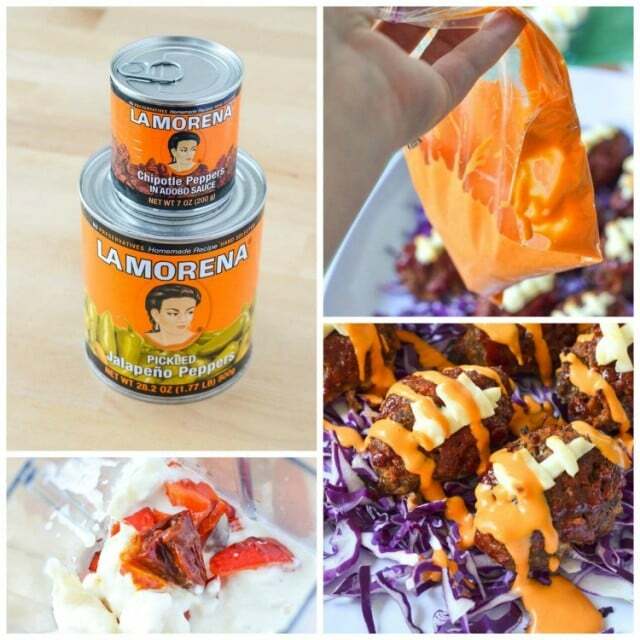 We’re thrilled to work with La Morena as we’re huge fans of their products. 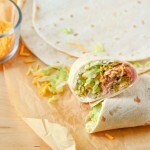 They over the highest quality products made in with the taste and style of Authentic Mexican at home. They have used traditional recipes for over 25 years and I’m so glad to be a customer of the leader in chiles and peppers! 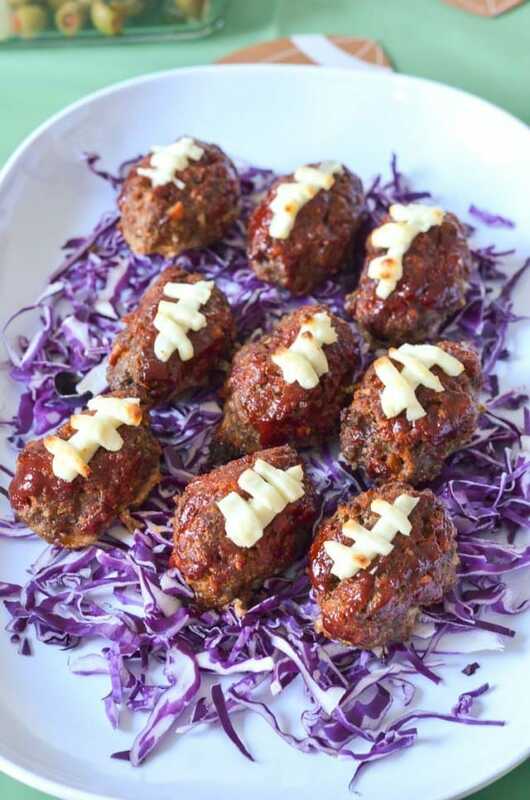 Your football meatloaf are so cute and perfect for the Super Bowl this weekend.